WSI is the manufacturer of this set of Volkswagen vans in Mammoet livery. 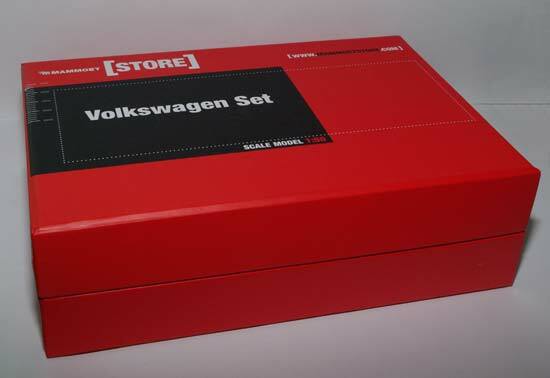 The models come in luxurious cardboard giftbox. The three models are sturdy packed in soft foam. As usual with models marketed by Mammoet a numbered certificate is supplied in the box. 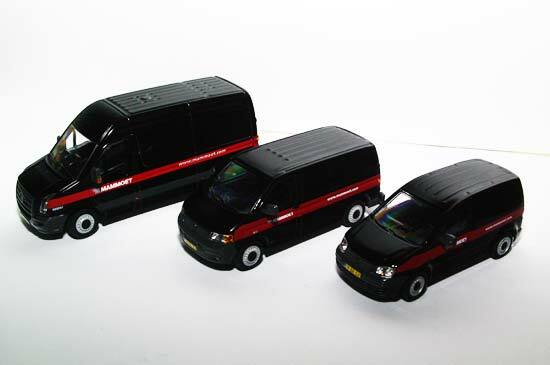 All three vans are detailed copies of their real life examples. All vans have a fleetnumber and Dutch license plates. 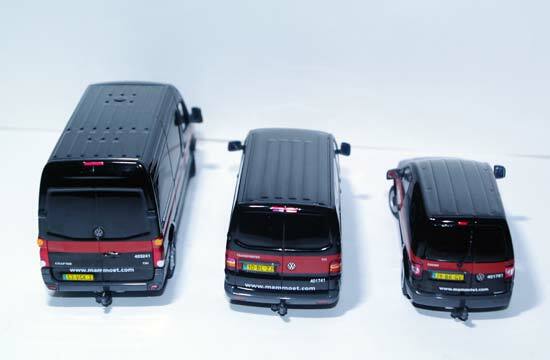 Only the Crafter also has the fleetnumber on both sides, the Caddy and the Transporter only have this number on the back. 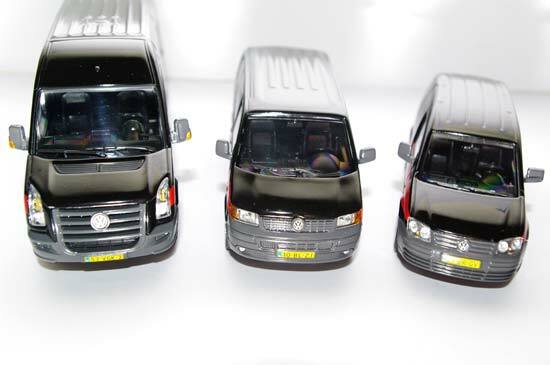 De models are nicely detailed all around, headlights and taillights are from clear colored plastic and all Volkswagen logos and emblems are printed in the right place. All vans are equipped with steering front wheels. Both the front and rear axle of all three models also feature working suspension. Also the interior got a lot of attention. 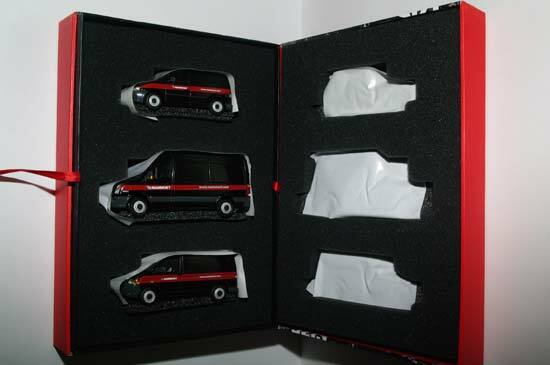 All vans have a realistic interior including detailed dashboard. The Caddy and the Transporter also have an interior rearview mirror. This excellent set ends the lack of detailed vans in the 1/50 scale. No doubt there will be other liveries and variations of these models in the future.